“The highly talented and dynamic music artiste, ‘Oweck‘ is back with a brand new tune titled ‘Duro‘, produced by the very versatile multi-talented producer and songwriter, Password. “House One Music songstress, Naomi Mac follows the release of hit single, My Heart (featuring Adekunle Gold) with the release of her first single of 2016 titled, “Mujo“. Produced by Michael Tone (Tone Music), Mujo is a musical expression which centers on dancing off your sorrows no matter the weather. 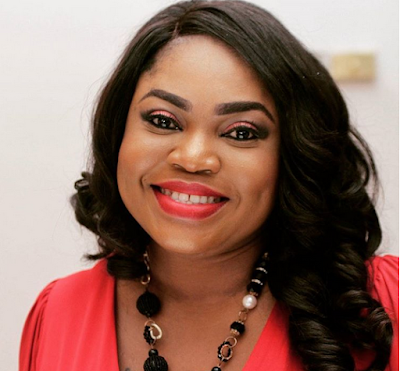 The Nigerian Idol star has since been working hard towards the release of her debut album which promises to feature an international female singer. 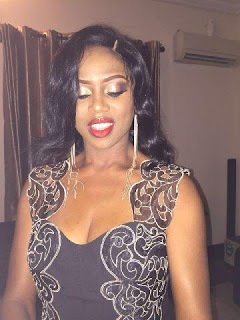 The soon-to-be released video was shot in Lagos and directed by Obi Martins. Shine The Light is amid tempo jam which you can throw a little bit dance step to, definitely for Africa. 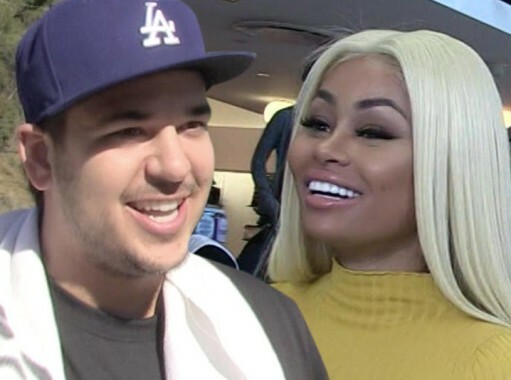 Rob Kardashian packed a suitcase and moved in with Blac Chyna ... at least temporarily ... TMZ has learned. Rob, who was living at Khloe's house, has been at B.C. 's digs for 5 days and counting. As for how it happened ... we're told Rob made the first move by DM'ing Chyna 2 weeks ago. We're told Rob genuinely likes Chyna and is not hooking up to upset his family ... but we're told it has definitely upset the Kardashian brood. Kylie has been at war with Tyga's baby mama for more than a year. Rob is using Chyna's home fitness equipment to train, with a little inspirational help from her. Rob and Chyna have known each other for a long time ... since she lived across the street from him when she was Kim's best friend. Our sources say the Kardashians are outraged at Rob's hookup. They believe Chyna is manipulating everything and that SHE is the one who first reached out. They also say she's behind Rob's sudden interest in Instagram postings. They believe Rob's horribly depressed and she's playing into his insecurities for her own gain. 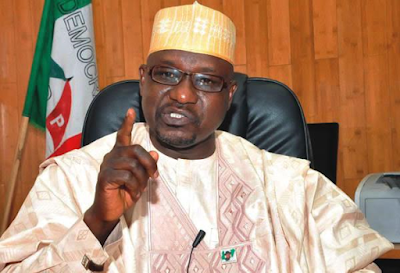 Former political adviser to former President Goodluck Jonathan, Ahmed Gulak, has declared himself the substantive Chairman of PDP. Gulak in company of former presidential spokesperson, Doyin Okupe and other PDP members, stormed the party's national secretariat in Abuja this afternoon where he declared himself the Chairman of the party. According to Gulak, he decided to assume the position of the party's Chairman following the December 16th ruling by Justice Husseini Baba-Yusuf of the High Court Abuja which ordered the acting chairman of the party, Uche Secondus, to vacate office and allow Gulak or anyone from the north east region of the country take over as the party's chairman following the resignation of Adamu Mu’azu in May last year. Attitude returns with a hot new track titled ‘Owo Apo’. This track is a follow-up to the previously released remix of his debut single, Mo Le Nu, which featured Falz. On this record, Attitude teams up with DJ Coublon and guitarist, Fiokee to create a very catchy highlife tune that will definitely become a radio hit all over. “Deejay Music present ‘Bad Girl‘ by Dress Code which is a debut for him into the music scene. Bad Girl was produced by the highly talented producer, Popito. International Act ‘Samzee Deenamba’ releases a new single for 2016. The single “From The Streets” features Zimbabwean Dancehall Icon ‘Buffalo Souljah’ and also Nigerian Born/South African based rapper ‘Eindo’. The video was shot on Location in Kliptown Soweto in South Africa. 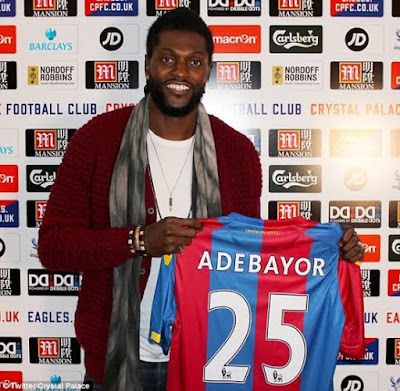 Crystal Palace football club of England signed Togolese footballer Emmanuel Adebayor on a free transfer yesterday Jan. 26th. The former Real Madrid, Man City, Arsenal and Tottenham striker had been a free agent ever since he and Tottenham parted ways last year. Crystal Palace signed him on an initial six month deal with the option of an extra year if the player does well. The club will pay him £70,000 per week while Tottenham will be paying him £30,000 till his contract with Tottenham ends this June. 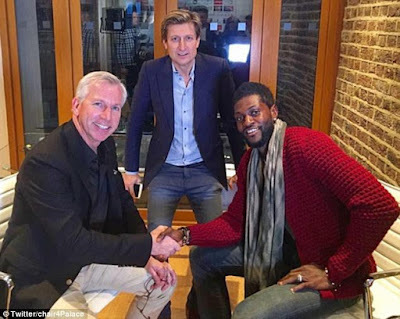 Crystal Palace chairman Steve Parish took to his Instagram page to welcome his new addition and posted a picture of the duo and Pardew. 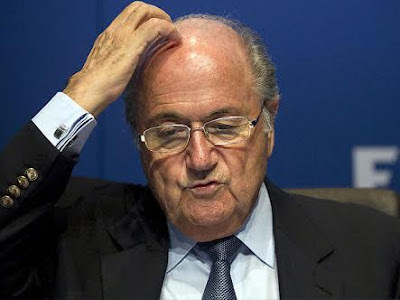 The ad-hoc Electoral Committee of the world's football governing body, FIFA, has announced the candidates that will contest in it's February 26th presidential election, that will herald a new reign in the leadership of football globally. "The Ad-hoc Electoral Committee has formally admitted and declared the candidates eligible for the election of the office of FIFA president at the extraordinary FIFA Congress," said a formal notice sent to the 209 member associations by FIFA. 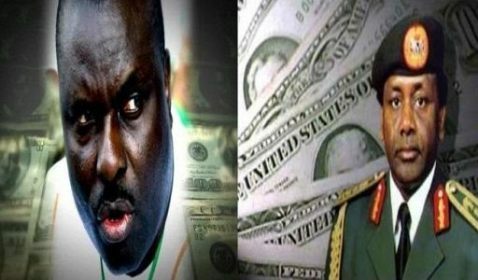 The Minister of Justice and the Attorney General of the Federation, Justice Abubakar Malami, says the Federal government will soon receive another $750 million allegedly laundered by former Military dictator, Sani Abacha and £6.9 million by former Delta state governor, James Ibori who is serving jail term in the UK over corruption charges. Malami who made this known at an interactive session with the House of Reps Committee on Justice at the National Assembly Abuja yesterday January 26th, said his ministry will engage Mutual Legal Assistance Agreement with foreign governments to “ensure the repatriation of illicitly-acquired assets. "Love of my life. My Quarterback. My Rock. My wife. I am everything I am cos u love me. Warts'n All. Ur d one God gave me to love me as I am. 16 years later see where we are. See how I am. U make it all look beautiful. Mother of my children. My Adumaradan. I know u'll rather I don't bring u out here but I will love them to know the OTHER source of my strength and pride. Thank u baby for keeping my feet on d ground and making it real. Ur my HERO. I love u. Happy birthday my ABK". "A mother, a Sister, a niece, an aunt, a friend and a wife. God fearing, humble, compassionate, loving, independent minded, bespoke, liberal with an effervescent infectious smile. Sterling qualities I admire in you. I bless God you came my way. May God continually bless you, protect and uphold you. May grant you your heart desires. His Grace, love and mercy abide with you always. Happy birthday my darling wife and mother of our 3 lovely kids. 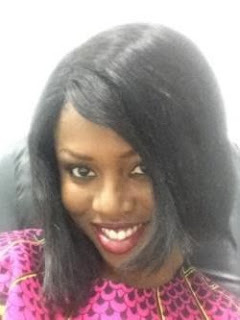 Julie Onyenma a rare GEM you truly are. Love you." Commencing her musical voyage about 10 years ago as just a writer of poems and stories, the 21 year old Ewà Cole (real name – Olatunji Ewaoluwa Nicole) has always had her inspiration/ideas established and constituted based on her own mind, listening to music from Soul singers and most especially from music that speak of all trueness and verity; born on the 26th of March, she is a Computer Science graduate from Babcock Universityand she is set to release her 1st single of the year 2016, which would be her 2nd official single following the release of her debut single, “Alone (Wale),” which was put out in 2015. “Sensational music star King Josh releases the official follow-up single to his smash hit single ‘Good Looking’ which featured Iyanya titled ‘Halleluyah’.The praised number which is orchestrated by raved producer Lord Sky, sees the Kings & Priests Empire front-man deliver a sensational audio candy showcasing his sharp pop sensibilities. King Josh who has bagged numerous awards and performed in countless high-profile concerts alongside heavyweights, unlocked the track with an accompanying music video. he visual was directed by H2G Films and was shot in a rural setting showcasing royalty with an emotive plot. Talent! This guy is no fluke. “Nigerian most outstanding fast rising NEXT RATED artiste “JiLEX” who brought us the killer RnB tune “SLIDE IN” which made it to the top most listened favorite song of heavyweight industry music lords is here to take over the music industry globally, and trust me JiLEX will be an indispensable artiste to the industry in no time. His style is a cut from Hip-Hop, AFRO, and R&B and he titles this song“AFRO LOVER” which stands for a term he calls his partner. AFRO LOVER is more than just a love song as it stages a flawless mix of an entire lifetime of experiences carved in western tune and African rhythm, which touches different areas of love life as it has all it takes to remain relevant in centuries to come & believe me it will surely stand the test of time. Trust this valentine will be special as the song will steal every woman’s heart. It was Produced, Mixed and Mastered by DANJA. This tune has proved to be the legit follow up to his debut single SLIDE IN. Let’s just hope this means a larger project is imminent. Another single from Orezi drops off the Gehngehn album. Yagolono a pop sound reminiscent of Orezi unique style and is produced byKiddominant. Watch out for the video to Yagolono, coming real soon!